I know its been a while, so soon I’ll post a more “update” type of post…. but for now I wanted to give a shameless plug for my Etsy store, which I FINALLY put stuff in. As I’ve previously mentioned, I have an embroidery machine, which can make all sorts of nifty things. One of my favorites is Freestanding Lace. 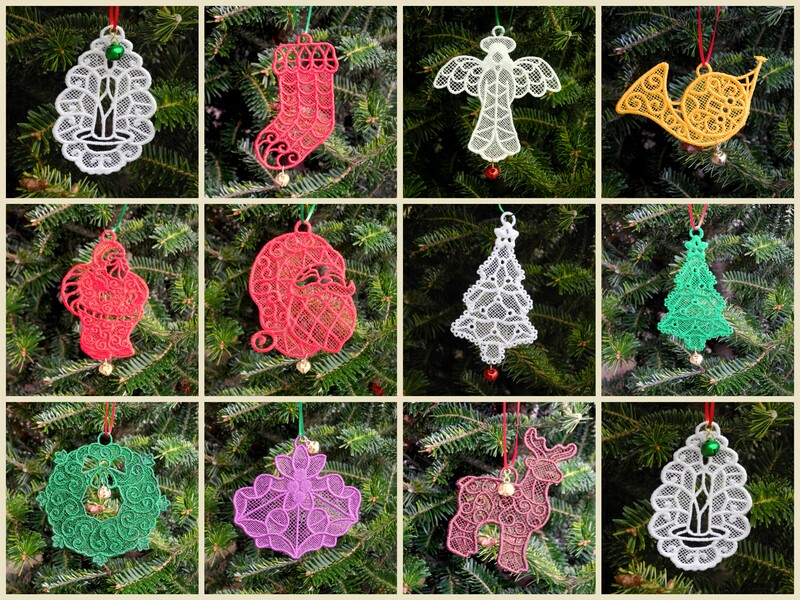 I’ve made a few different lace projects, and for the Christmas season I made some lace ornaments. I sold a decent number at craft fairs over the last few weeks, but now that I’m done with craft fairs, I’ve got the rest listed in my Etsy shop. The ornaments are $3 each or 4 for $10. I took pictures of them today since we finally got a small tree for our living room. It was overcast outside, so the colors aren’t as warm as they really should be.